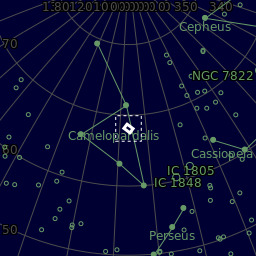 IC342 in Camelopardalis. This was a tricky object that probably was a poor choice of target given my small scope. I'm not that happy with it but it was a good experience in post processing.